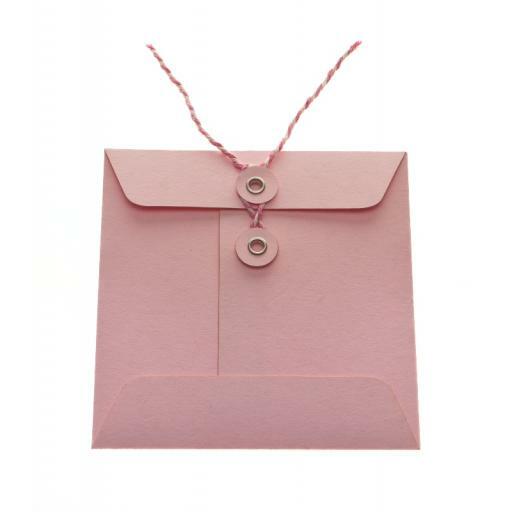 and suitable for card measurements of 100mm x 100mm square. 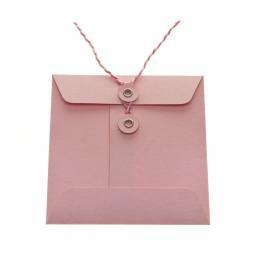 envelopes are supplied pre creased with eyelets already attached, and are flat ready for you to assemble. 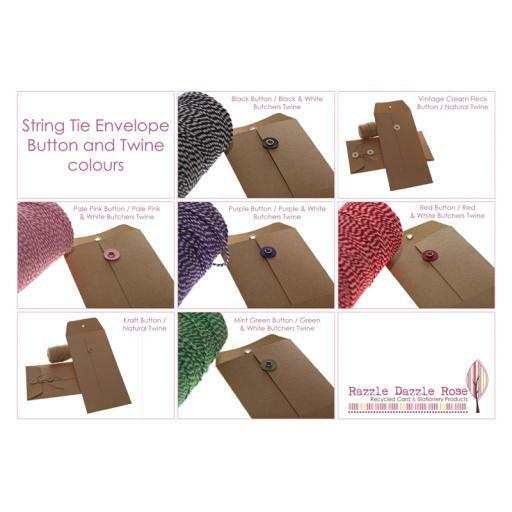 All you need to assemble the envelopes is some of our extra stong stix 2 double sided tape and your chosen twine. Simply loop your twine in a figure of 8 loop round both the buttons to close.